SCVHistory.com SB3201 | Ridge Route | 'Graceful Turns and Easy Grades,' Los Angeles to Bakersfield, Souvenir Postcard ~1930s. 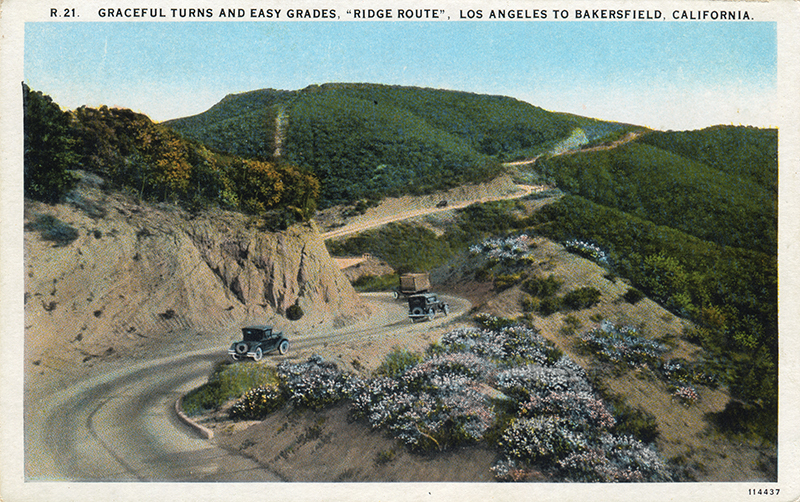 "Graceful Turns and Easy Grades"
R.21: The Ridge Route: Graceful Turns and Easy Grades, Los Angeles to Bakersfield, California. 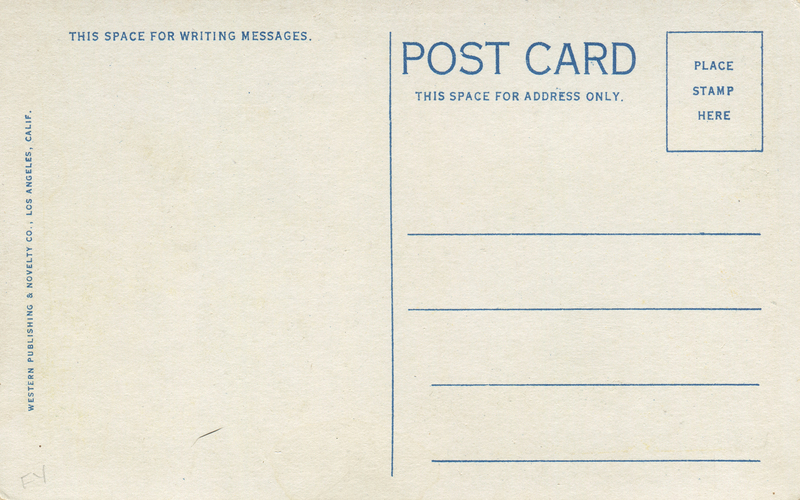 Western Publishing & Novelty Co. souvenir postcard No. 114437, probably published in the 1930s, from an earlier photograph that has been colorized. Western Publishing of Los Angeles was active from 1932 to the 1970s. SB3201: 9600 dpi jpeg from original postcard, collection of Sarah Brewer.